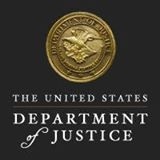 BOSTON – (RealEstateRama) — A real estate attorney was sentenced today in connection with a sweeping conspiracy to defraud banks and mortgage companies by engaging in sham “short” sales of residential properties in Merrimack Valley. Jasmin Polanco, 37, of Methuen, was sentenced by U.S. Senior District Court Judge Douglas P. Woodlock to 15 months in prison, three year of supervised release and ordered to pay $1,224,489 in restitution. In March 2018, Polanco pleaded guilty to one count of conspiracy to commit bank fraud. Co-defendants Vanessa Ricci, 41, of Methuen, a mortgage loan officer, pleaded guilty in March 2018 to one count of conspiracy to commit bank fraud and was sentenced to six months in prison, three years of supervised release and ordered to pay restitution of $963,730; Greisy Jimenez, 50, of Methuen, a real estate broker, pleaded guilty to two counts of bank fraud and one count of conspiracy to commit bank fraud and is awaiting sentencing; Hyacinth Bellerose, 51, of Dunstable, a real estate closing attorney, was sentenced in March 2017 to time served and one year of supervised release to be served in home detention after pleading guilty to conspiracy to commit bank fraud. The charges arose out of a scheme to defraud various banks via bogus short sales of homes in Haverhill, Lawrence and Methuen in which the purported sellers remained in their homes with their debt substantially reduced. A short sale is a sale of real estate for less than the value of any existing mortgage debt on the property. Short sales are an alternative to foreclosure that typically occur only with the consent of the mortgage lender. Generally, the lender absorbs a loss on the loan and releases the borrower from the unpaid balance. By their very nature, short sales are intended to be arms-length transactions in which the buyers and sellers are unrelated, and in which the sellers cede their control of the subject properties in exchange for the short-selling bank’s agreement to release them from their unpaid debt. The conspiracy began in approximately August 2007 and continued through June 2010, a period that included the height of the financial crisis and its aftermath. Home values in Massachusetts and across the nation declined precipitously, and many homeowners found themselves suddenly “underwater” with homes worth less than the mortgage debt they owed. As part of the scheme, Polanco, Jimenez, Ricci, Bellerose and others submitted materially false and misleading documents to numerous banks in an effort to induce them to permit the short-sales, thereby releasing the purported sellers from their unpaid mortgage debts, while simultaneously inducing the purported buyers’ banks to provide financing for the deals. In fact, the purported sellers simply stayed in their homes, with their debt substantially reduced. United States Attorney Andrew E. Lelling; Christina Scaringi, Special Agent in Charge of the Department of Housing and Urban Development, Office of Inspector General, New York Field Office; and Christy Goldsmith Romero, Special Inspector General of the Troubled Asset Relief Program, made the announcement. Assistant U.S. Attorney Stephen E. Frank, Chief of Lelling’s Economic Crimes Unit, and Assistant U.S. Attorneys Sara Miron Bloom and Victor A. Wild, also of the Economic Crimes Unit, prosecuted the cases.